The grade 11 chemistry students learned about the different laws that can be applied to gases. They performed a lab to determine the standard molar volume of water and applied their knowledge of gas laws to make calculations. 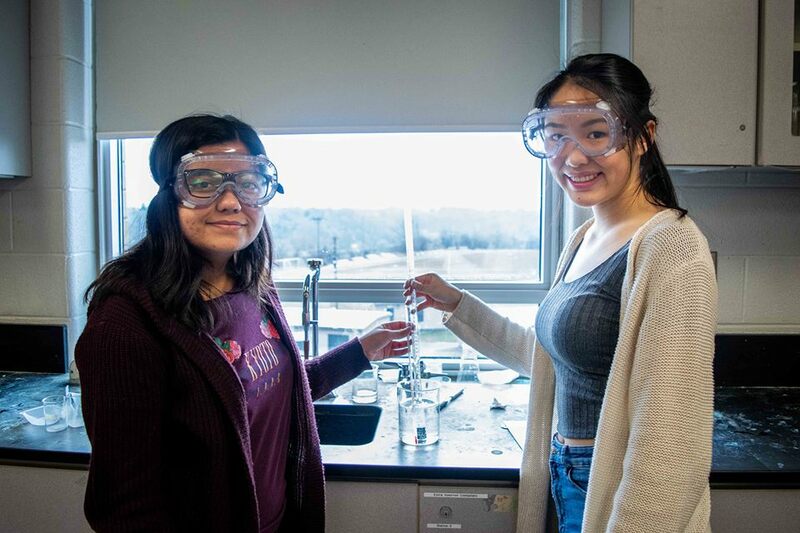 This week, the grade 11 chemistry class performed titration experiments using various technical equipment to determine the percentage of acetic acid in vinegar. 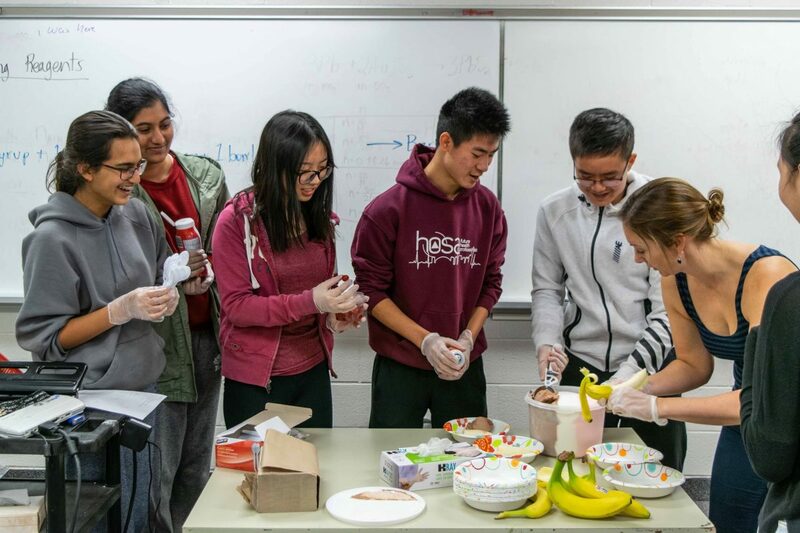 This week, the grade 11 BC calculus students learned different methods to compute definite and indefinite integrals. 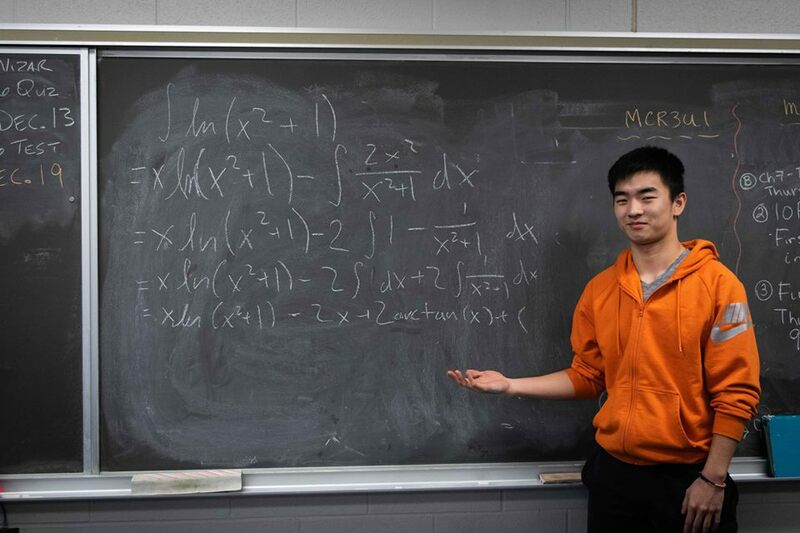 They were taught integration by parts and integration with trigonometric substitutions. 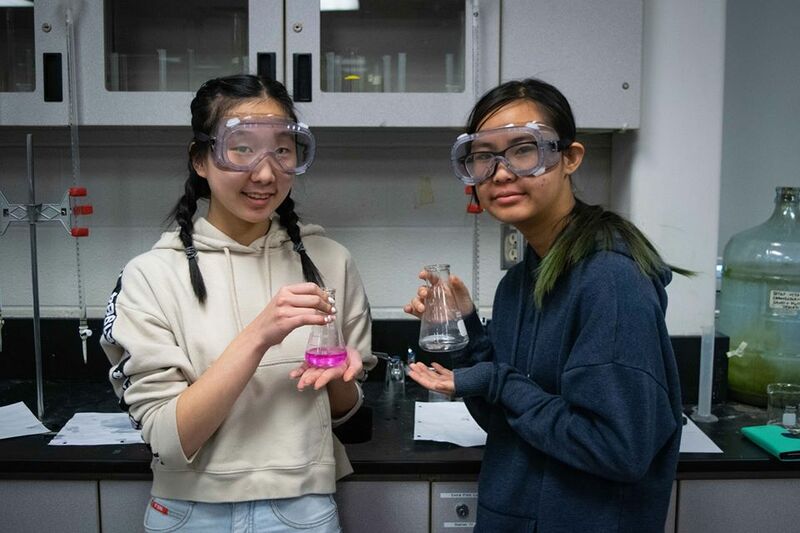 This week, the grade 11 chemistry students learned about limiting reagents. They used a real life application of making banana split sundaes to further their understanding of how limiting reagents work. This website was designed and is maintained by the students of the TOPS Program. To contact the website team, please send an email to webmaster@topsprogram.ca.